Grab And Uber Slash Fares Like Nobody's Business — Are Drivers Caught As Collateral Damage? If the private-hire car market locally in Singapore wasn’t exciting enough, Uber and Grab has just slashed their fare prices to entice more users of their app. 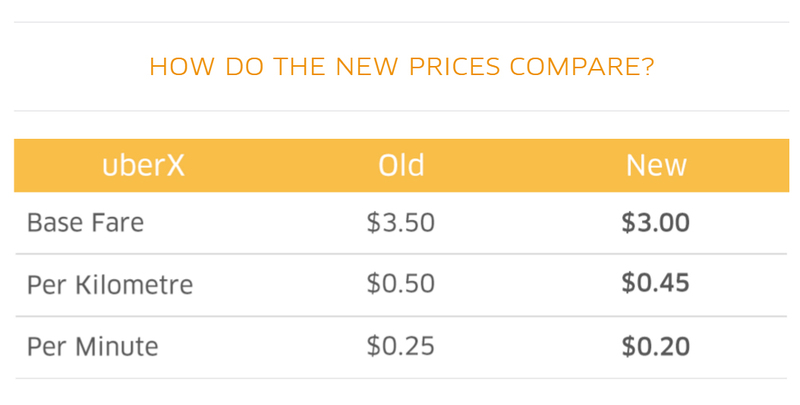 Since April 14th, the prices have gotten slightly cheaper and even more affordable than ever before. In case you missed their announcements, read on to find out what both companies have to offer users with their new fare structure. A few days later, on 18th April, Grab followed suit with news of its fare reductions too. 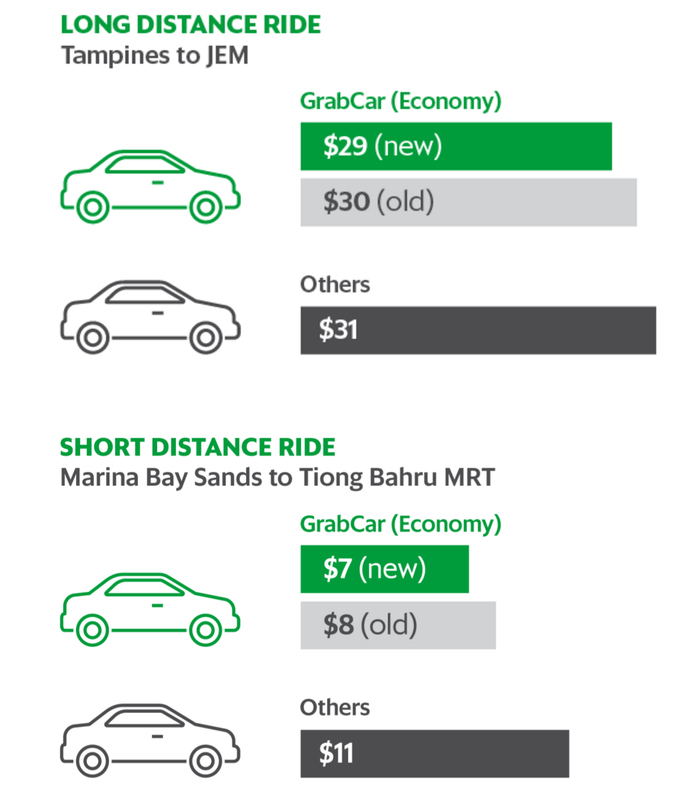 GrabCar (Economy) too have seen its base fare reduced to $3. Additionally, they have also announced that they are scrapping the minimum fare of $8, and the per kilometer fare will now be reduced by 10 cents. 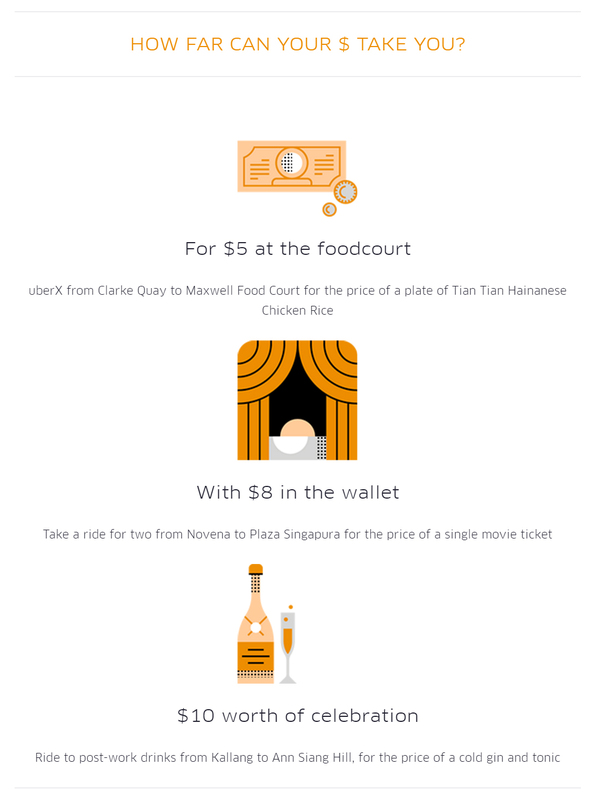 Grab is on a mission to get its users to destinations all around Singapore in the most affordable way possible. Check out their fare table below for the full list of updated figures. While these announcements may be good news to commuters at the moment, there has been calls for caution within the industry. National Taxi Association (NTA) Executive Adviser, and Minister of Parliament for Ang Mo Kio GRC, Mr Ang Hin Kee has called this an “unhealthy and unsustainable business strategy”. First, there is a worry that once companies like Uber and Grab have gotten their desirable market share, “they could exercise the right to earn profits”, thus putting commuters in a position where they can be taken advantage of. There is also a concern that the drivers will in turn have to work harder to earn the same amount as before the price adjustments. Grab has refuted this claim, citing that due to the price cuts, there has been a great increase in commuters using their service. This means that drivers are getting more bookings within the same period of time. Though Uber has yet to comment on the matter, earlier this year when they announced the price cuts for rides around Kuala Lumpur, they shared the same sentiments, where drivers can expect a growth in earnings due to the increase in demand from riders. While that may be true in theory, that may not be the case in real life. The Sunday Times has reported that drivers have seen a dip as much as 20% in their earnings after the price reduction announcement, further echoing Mr Ang’s comment that the price war may be unhealthy for the industry. While nobody can predict the future, in the mean time, fans of Uber and Grab are reaping the benefits of this ‘price war’ and are now able to get where they need to be without burning a hole in their pockets. Uber Who? SMRT Partners With Grab To Enter The Private Hire Car Industry!